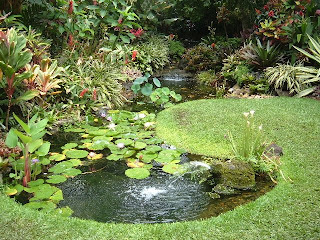 Today was a gardening visit day, we visited 3 tropical gardens which had open days. 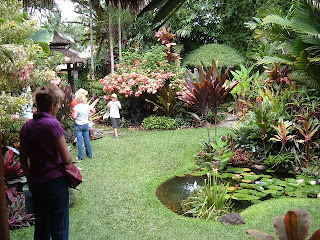 Two of them were based on Balinese gardens, really beautiful and lush full of plants, like a tropical jungle. 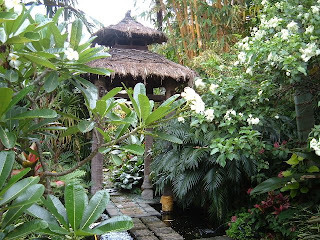 The Balinese gardens are popular here not just because of the climate but because it is a favourite holiday destination and people like to have a bit of the Bali in their own back yard. Just spending some time in these gardens made you feel you were a whole world away, there was something really peaceful about being in them. 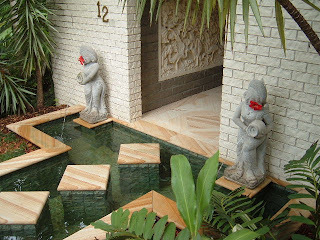 The house entrance to one consists of a water feature with stepping stones to the entrance...not a good idea to come home too drunk! otherwise you could end up getting wet.